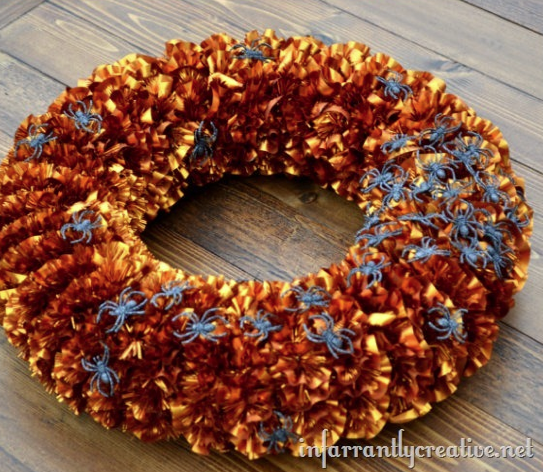 If you are looking for something new to hang on your front door this Halloween, check out these easy and fun, yet perfectly spooky wreath ideas. 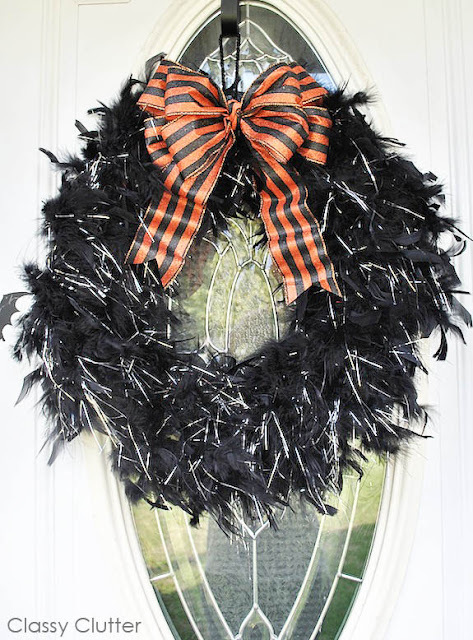 Mallory of Classy Clutter created this fun feather boa wreath from a pool noodle and a black feather boa. 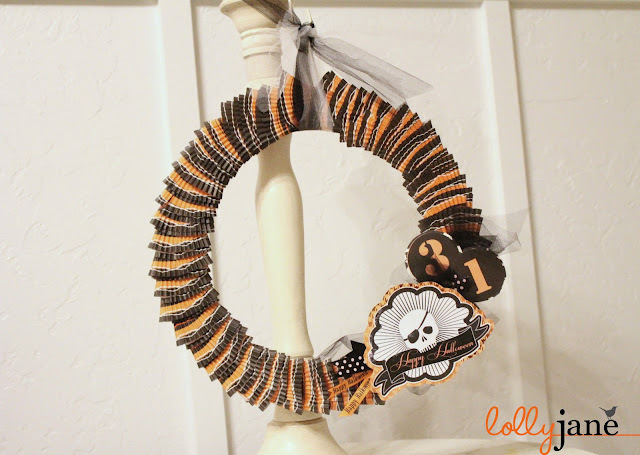 Lolly Jane created a Halloween ruffle wreath without sewing a stitch, thanks to some fun Halloween cupcake liners. 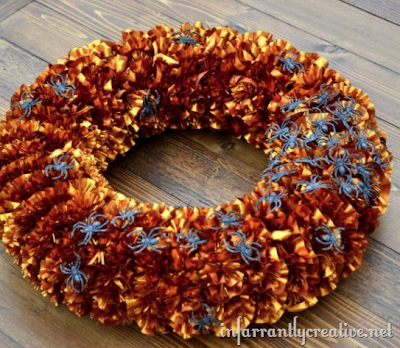 And if you happen to have some Halloween colored tulle lying around (like in the shape of a witch's tutu from an old Halloween costume), Miss Information will show you how to turn it into a fun tulle Halloween wreath. Thanks for the feature!! I'm so excited to see my wreath among the amazing ones you've chosen!! !